A skin peel, also called chemexfoliation or derma peeling, is one of the least invasive ways to improve the appearance of your skin. Although chemical peels are used mostly on the face, they can also be used to improve the skin on your neck and hands. With Light peel -Subtle improvements at first, but that healthy glow will increase with more treatments. If you have uneven pigment, dryness, acne or fine wrinkling, a light chemical peel might be the right choice. This kind of peel removes just the outer layer of skin (epidermis) in a light exfoliation and results in a healthier glow. 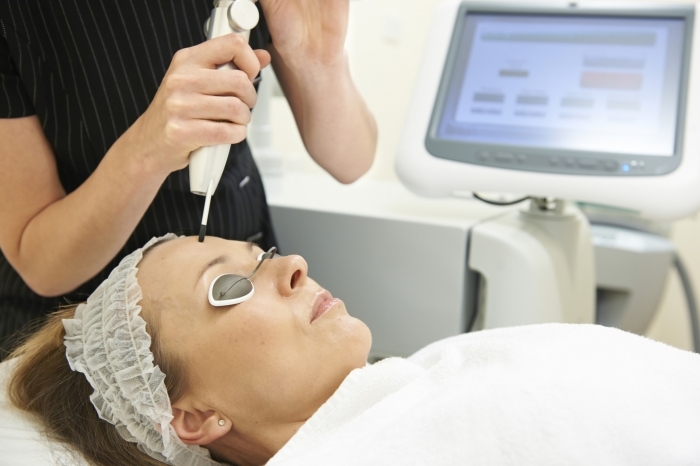 You can repeat these treatments weekly for up to six weeks to achieve your desired results. Acne scars, deeper wrinkles and uneven skin color can all be treated with a medium skin peel. The solutions used for this type of peel will remove skin cells from both the outer layer of skin (epidermis) and upper part of your middle layer of skin (dermis). occurs, causing brown blotches) may result even if you use sunscreen.